The styles we lust for this fall 2013!!! Cat eye glasses..these continue to see an amazing resurgence in fashion. Find the style that suits you from radically wild to the ever so slight cateye shapes. Vintage glasses with filigree designs are all the rage. Get one from a flee market or antique store and have them fitted for your prescription lenses. Army print paired with cat eyeglasses. Fall fashion galore! 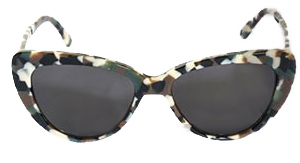 Camouflage glasses are in…or you can try some tortoise frames that lend the same look, prescription sunglasses that you can customize. The whole round glasses thing..well you know Harry Potter, John Lennon to name a few….it’s just cool, retro and fun. 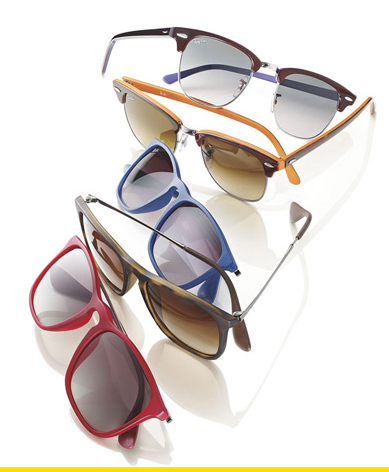 For holiday trips to California…fun sunny shades, cool wayfarer eyeglasses! The Ultimate….Can’t be shy in this one.